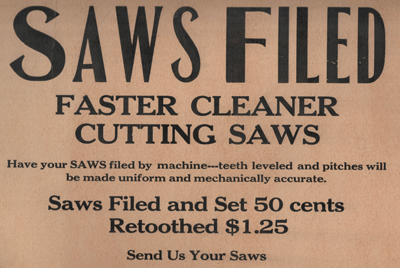 Get Your Saw Filed : Welcome to the VintageSaws.com Online Store! Back in the day, when I was making dovetail saws and building the business that was known as Independence Tool, I filed saws for my customers. I figured since I had all the equipment and filed the most demanding teeth there were, namely 15 point dovetail saws, everything else would be easy by comparison. The year was 1996, and there were many satisfied customers. Interests changed, the lure of professional life called, and I stopped filing commercially. I've obviously kept my skills sharp (pun intended), filing all the saws sold on the VintageSaws.com website which started up in 1998 and has operated since. After many years and many requests from long time customers, I've decided to offer this service once again. 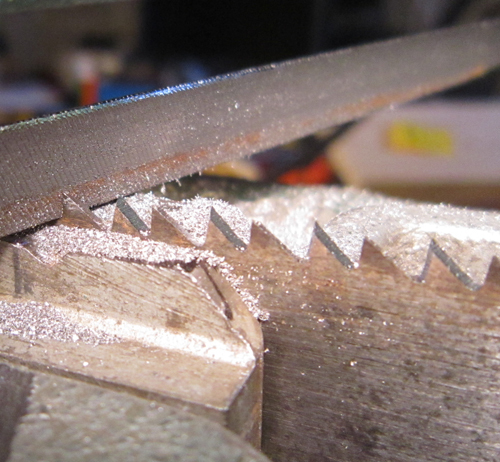 I've accumulated quite a collection of saw filing equipment and have perfected the process as much as humanly possible. I filed my first saw in 1992. Let my 25 years of experience go to work for you. 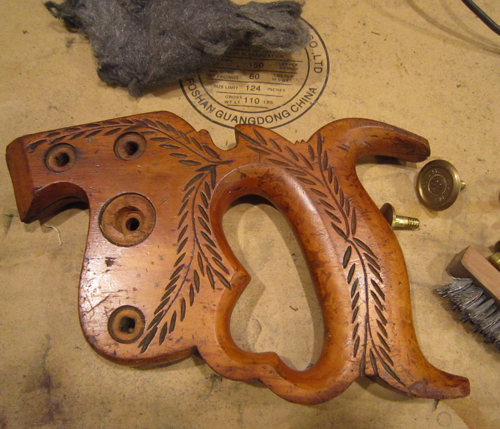 If you are active on Ebay, consider having your purchase sent directly to Vintage Saws for tuning and restoration. You have to pay shipping anyway, might as well be to the place where it can get cutting right. Speaking of shipping, finding a box to ship your saw in is hard. Follow the directions located here to make a first rate box that will stand up to even the most heavy handed shipping service. We offer 4 levels of service which are described in detail below. Customer is free to specify service level desired, but if in my professional opinion it will not yield a usable end product, I may specify a higher level of service, or no service altogether. Translation: I will treat your saw like it were my own, and not waste your money if the end product will be junk. 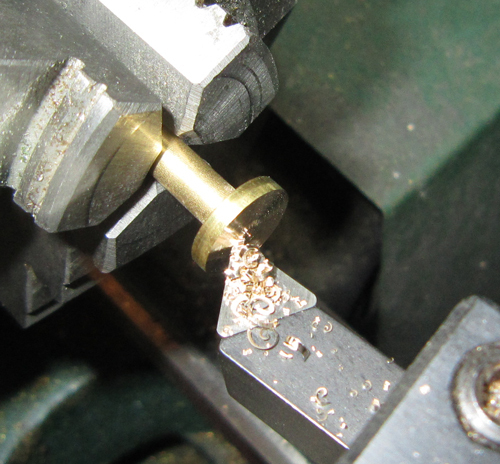 Conversely, saws sent for the Basic Filing service which have rusted blades, malformed teeth, will be upgraded to the Complete Restoration service, or sent back as is. I am the sole arbiter of the service level required and will not file rusted saws or saws that will not work properly when completed. I am a perfectionist, and feel each saw I sharpen is a statement about my professionalism and reputation. Customer pays for shipping to my address (fedex or ups preferred) and for return shipping back. Once saws are received, I will confirm with the Customer that the service level requested is appropriate, or if upgrades are required from level selected. I ship FedEx Ground for all Continental Shipments and Priority Mail for Alaska, Hawaii, APO, FPO and any other US Territory or Possession. International orders ship via USPS Global Priority Mail. $10 of flat rate shipping cost is added to all orders. Additional shipping, if required will be requested prior to work beginning. I have custom boxes that I get made which are very sturdy and safe for 99.99% of all shipments. I have only had a few saws broken since 1996, but when they have happened, they have been devastating. Insurance is highly recommended which is determined and the level set by the customer. Payment is made through the website at the time of order. Additional fees due to service upgrades or additional shipping will be requested once agreement has been reached on the scope of work. If you are unsure about which level of service is required, select the basic service and I will evaluate your saw when it arrives and be in touch about what is required. I reserve the right to decline service on any saw for any reason. If this should occur, I will pay for return shipping at my cost.